For this version I made only a few subtle changes in the volumes of the five different loudness levels. Basically, I reduced the difference between the volume of the first note in a measure and the rest of the music. This reduced the kind of march-like quality that the first version had. This one has the same tuning as the previous version here. 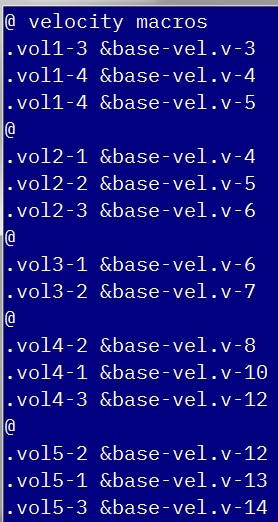 1st beat in a measure is assigned one of the alternatives for &vol1*. 2nd quarter note in a measure is assigned one of the alternatives for &vol2*. All other notes that carry the melody other than 1st or 2nd quarter notes in a measure are assigned one of the alternatives for &vol3*. 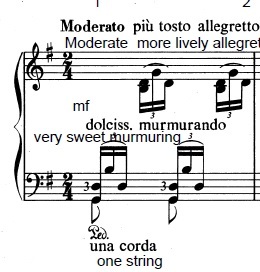 Other notes, not carrying the melody, like the arpeggios, are assigned one of the alternatives for &vol4*. Grace notes are assigned one of the alternatives for &vol5*. When the measures are assembled, the appropriate &vol*. value is called. 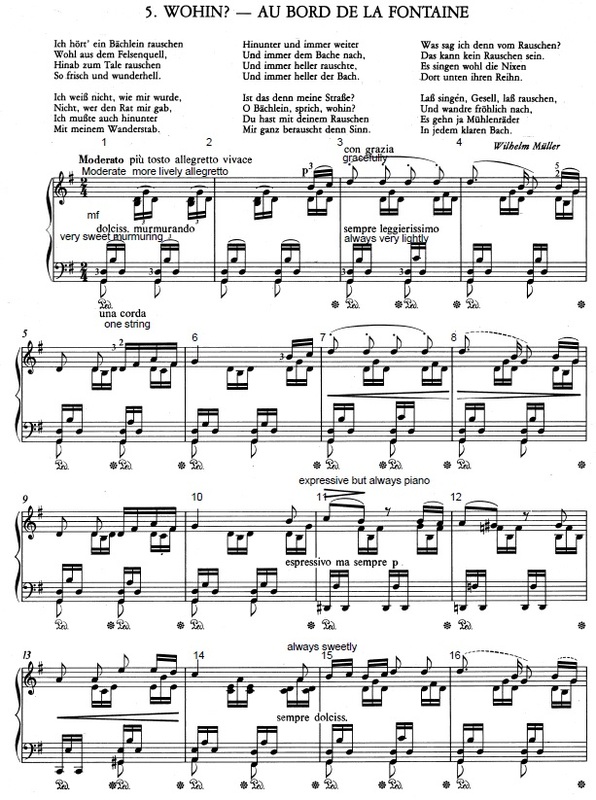 Here, in measure #1, it’s all non-melody parts. Musical theorists have said that this intro is simulating a babbling brook. Ok.